We at Friends of the Legacy Trail are often asked about Bike Rental for The Trail. We sent emails asking each of our business members if they rent bikes and if so, to send along information that they would want a potential customer to know about. We have an inventory of over 350 bicycles, ranging from Trek 21 speed hybrids, Trek Alpha 1.1 road bikes and single speed beach cruisers as well as tandems and adult trikes for rent. 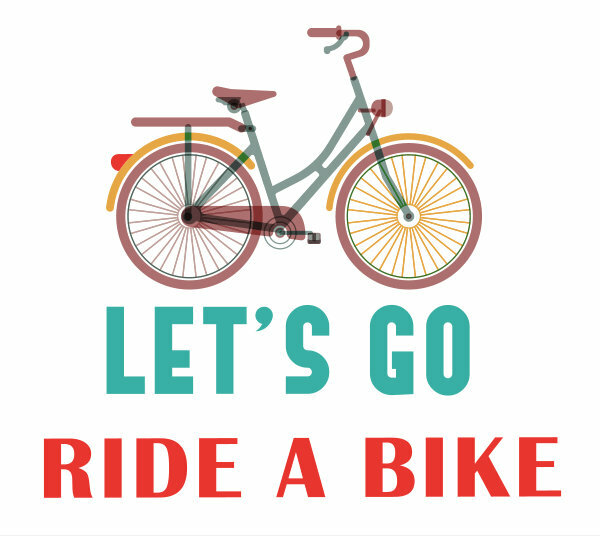 We can include helmets and locks with any bike rental at no extra charge. Siesta Sports Rentals offers a 10% discount on bike rentals to Friends of The Legacy Trail members. 2. We offer a bike rack for $10.00 we put on your vehicle which can hold 3 bikes. 3. We deliver the bikes to the north trail-head for $25. This price includes bike rental, delivery and pick up. Siesta Key Bike and Kayak offers Friends of The Legacy Trail members a 10% discount on merchandise, labor & rentals. The pedal forward design, upright, relaxed riding position makes them comfy, stable and fun to ride even if you haven’t been on a bike since you were a kid! You can plant your feet flat on the ground easily without leaving the saddle. Some have a swooped top tube that allows easy step through. See Rental Page for prices. We provide a helmet, lock, basket and include a bottle of water with each rental. Mobile Service. Delivery to all Legacy Trail access points from Osprey Junction to Legacy Park. • 7-Speed Comfort Cruisers, 21-Speed Hybrids, Kids Bikes & Trailers. Helmet, lock, basket included. • Cash/Credit/Debit at time of delivery. Same-day service, often within the hour. • Delivery to Venice Waterway Trail also available. Day/Week/Month rentals. Venice, Nokomis, Casey Key, Manasota Key, south Osprey, north Englewood. Voted #1 Bicycle Shop in Venice by the Gondolier Sun. Located right off Tamiami Trail (41) across from Lowes, just 1 mile off the Venetian Water Trail/south end of the Legacy Trail. We have over 50 bicycles available for rent for the entire family and we provide helmets and locks at no additional cost. Come see why we are #1. Bicycles International offers Friends of The Legacy Trail members a 10% discount on parts and accessories. We are conveniently located directly on the Legacy Trail at the south end of The Legacy Trail Bridge over Tamiami Trail. Visitors can park in our shopping center parking lot and enjoy car-free bike rentals. We rent several kinds of bike and have more than 40 bikes in our rental fleet..
Hybrids (comfort bikes) are our most popular. We also rent road bikes and fitness bikes, also have a few mountain bikes for those wanting to get out in the woods. Locks and helmets are included with the rental. We have maps of local riding trails and staff knowledgeable about great routes for those wanting to get off the trail and venture out. Real Bikes offers Friends of the Legacy Trail members a 10% discount on parts & accessories. For more info see our FLT Website Legacy Trail Map and our Business Member Page where you can find more links and some businesses offering FLT member discounts.